Corn Flakes are delicious and super crunchy flakes, which contain only natural ingredients, including 91% corn. 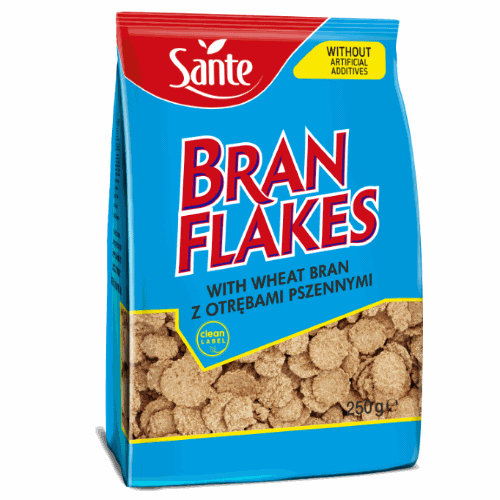 These delicate and easy to digest flakes are a great solution for those who like classic breakfast products served with milk. Our Corn Flakes are best served with Alpro products, milk, yoghurt or kefir. To make sure that they will stay crispy, the flakes should be eaten shortly after being prepared. 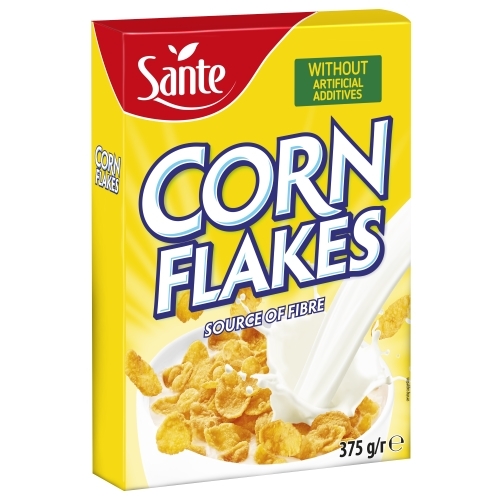 Sante Corn Flakes may be used as a healthy addition to cakes, desserts or even a fruit salad. They will successfully replace a traditional fish or meat coating or enrich the taste of your pancakes. 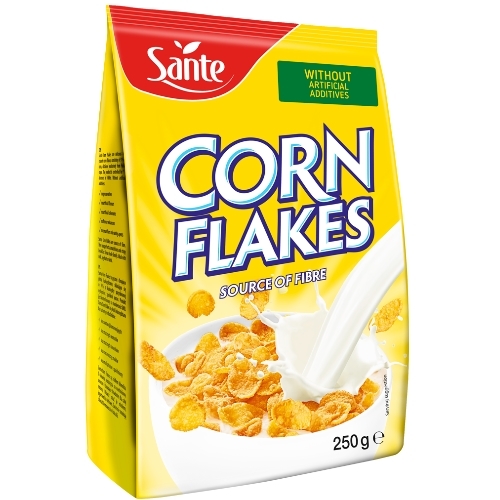 Sante Corn Flakes are rich in taste and nutrients. They are a great solution for a nutritious breakfast, to wake the brain up and help you start the day with energy. Their lightness is appreciated by those who value delicate and mild tastes. Additionally, owing to the low content of fat and no added simple sugars, Corn Flakes may be eaten as a snack by health-conscious consumers. May contain gluten and traces of milk and soy. % of the reference daily intake for an adult.